HEATHROW, FL—Warning consumers of the hidden pitfalls of vehicle depreciation, experts from the American Automobile Association cautioned Thursday that the average new car loses 90 percent of the original sticker price as soon as you drive it off a cliff. 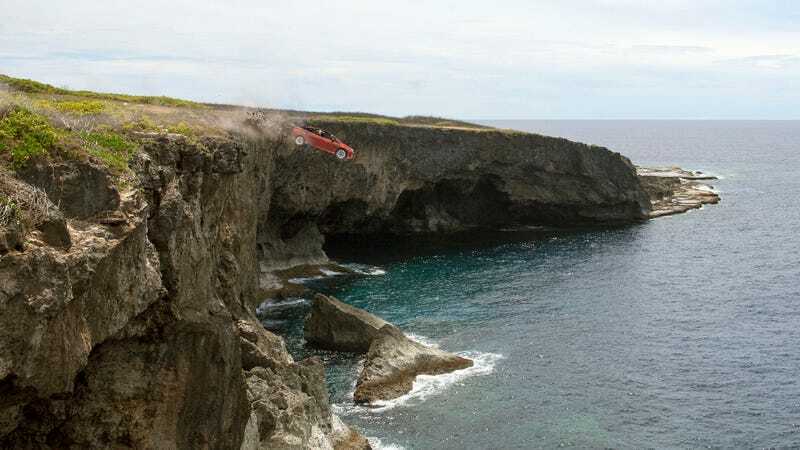 “It’s important buyers be aware that when they purchase a vehicle, almost its entire worth disappears the second they pull out over a cliff’s edge,” said AAA CEO and President Tim Condon, explaining that within moments of a car leaving the ground and soaring through the air, the vehicle becomes worth no more than scrap metal. “It doesn’t matter if it’s a luxury sedan or an affordable pickup, the vehicle’s resale value depreciates more and more as it descends to the craggy bottom. This is why it’s crucial that you do your research before you drive off a steep rock face.” At press time, Condon also warned that most car dealers often refuse to take back any vehicle immediately after it explodes at a cliff’s base.